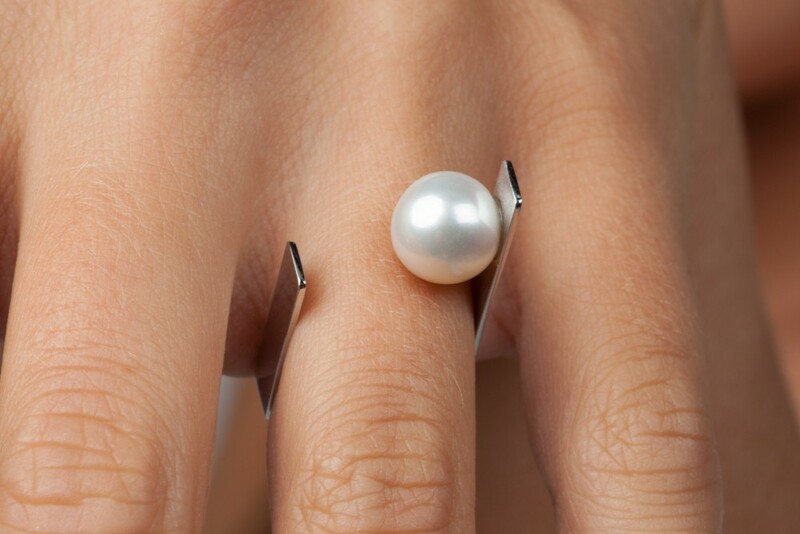 Minimal ring in 18 kt white gold with natural pearl. 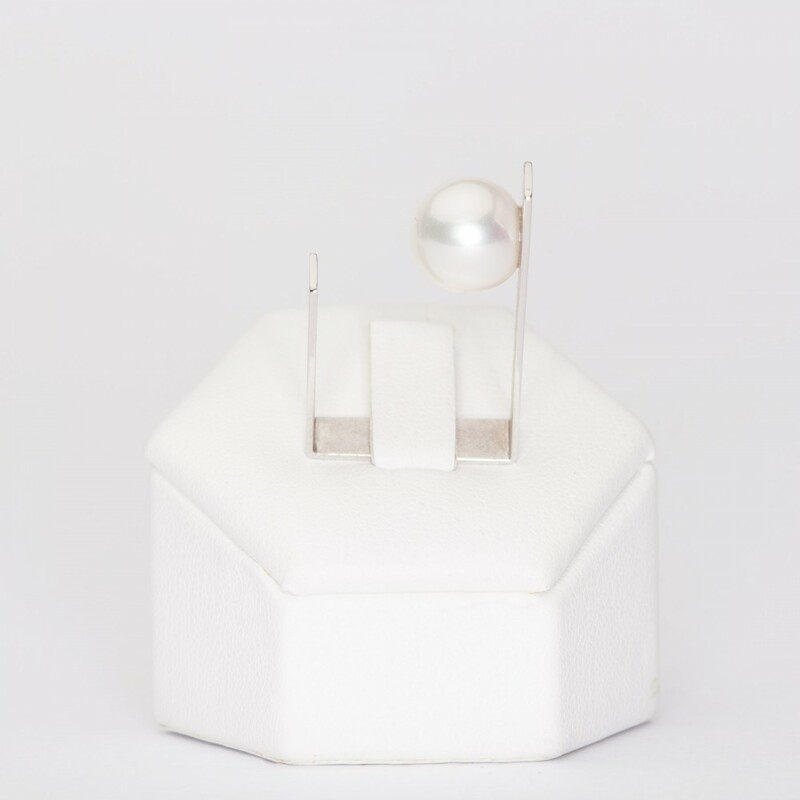 Handmade ring in 18 kt white gold, with a natural pearl, 9½ / 10 mm of diameter, the ring has a very unique style, minimal and innovative, it's an exclusive accessory, peraphs it's simplicity, it definitely does not go unnoticed. 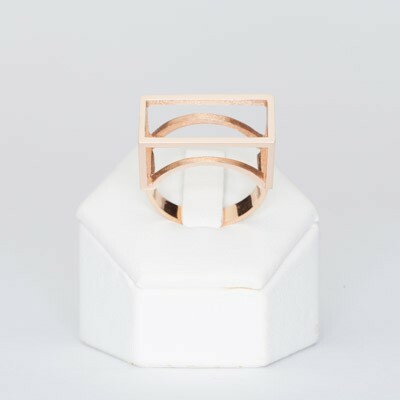 Its special shape lets the ring to be fitted from 14 to 17 size. 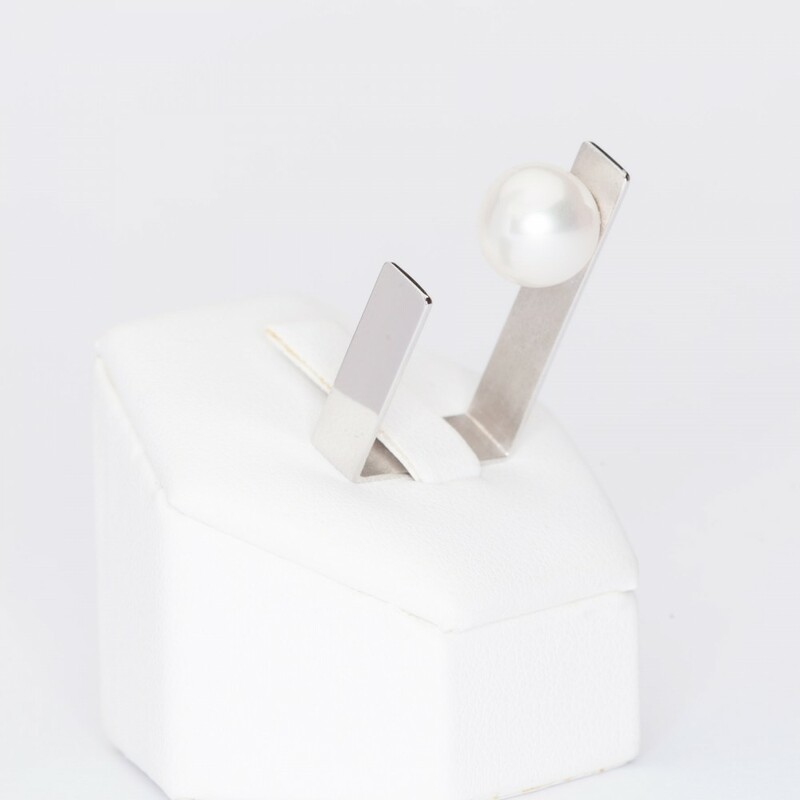 However, if the ring doesn't fit you, you can just send it back to us and we will provide to replace or resize it. This transaction is out of charge, except for the shipping cost.